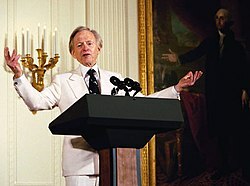 անգլ.՝ Thomas Kennerly Wolfe Jr.
↑ Rolling Stone's 40th Anniversary: Talking With Tom Wolfe(անգլ.) // Rolling Stone. — 2007.